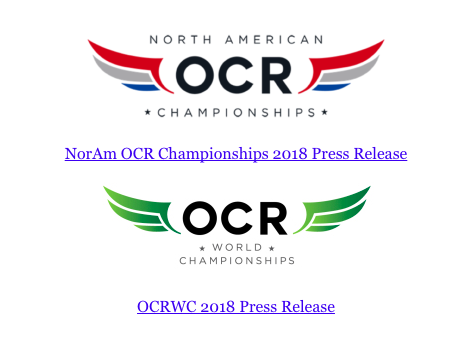 OCR World Championships *and* North American Championships have venues! Announcing: Team ROC is NOT born! in 2015 Every team threw in the towel and became Random OCR Community. The landscape of communities in OCR is changing. 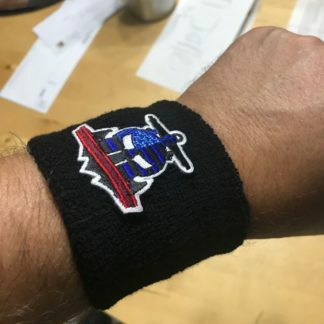 For the past three years, give or take, NES has been handling things in New England – working with local OCR owners and businesses, venues, promoters and traveling events. We’ve done a damn good job too. We’re not the only ones. Regional communities already talk to their local races, and most crucially, they talk to the big three, like we do. We talk to each other too. We’ve been planning. Will now merge! The owners, admins and leaders of all these groups will begin the process of turning their existing brands and names into something new, and bigger than anyone of us. With the new buying power of 20,000+ members – races will be forced to take notice. We will no longer be that small team in our respective regions when big races swing through – we’ll be national (soon, international). And we’ve got your interests in mind. All leaders, admins, owners and interested parties who currently lead the aforementioned groups will be merging into one admin committee. All team names, logos and branding will, over the next few weeks, be discontinued, with Team ROC shirts, drill shirts, T Shirts, Sleeves and such being released. We’re immediately going to ask for all events to drop their nickel and dime policies. Parking fees, spectator fees, over inflated beer prices – you name it, we want it to drop. If you run a road race or triathlon, you pay once and you’re done for the day. OCR deserves better. We want Team ROC to be a featured part of every event – there’s a good chance we’ll be bringing 300+ members to the team at every event, in every part of the country, not just regional races. Bigger team tents – better team rewards. We’re going to publicly demand Tough Mudder reinstate their finisher shirts (already done! You’re welcome! 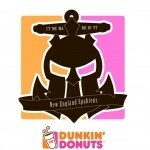 ), and Spartan Race reinstate their single Trifecta medal. Battlefrog needs to put Sundays back on the calendar as promised, and much more. What do you want to see this new Mega Community do next? Sound off! 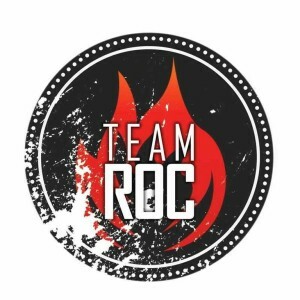 This is YOUR community, Team ROC! Sponsorship is a topic that has come up over and over again, and it’s never been an easy one to answer. Not because we don’t want it – we want to grow. We want to sponsor athletes. 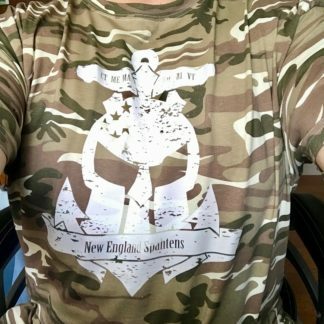 We want to expand and develop the New England spahtens as a team and as a brand. Anyone at Harvard this weekend saw the rewards of those efforts. It’s not because we’ve not had offers – local gyms, nutrition companies, crossfit affiliates – all kind and appreciated offers, but nothing that gets us moving as far, and as quickly as we feel we can go in this exploding sport. Most recently though – we couldn’t answer the sponsorship questions because we weren’t allowed to. When you work with a big corporation and you talk to lawyers, and marketing teams, and blah blah blah. You get the idea. Today though – we can finally break the news to the team. Expect a full press release on their side by the end of the day, I hope, and many many more updates to follow. The New England Spahtens is now officially sponsored by Dunkin’ Donuts, in a one year, renewable partnership! 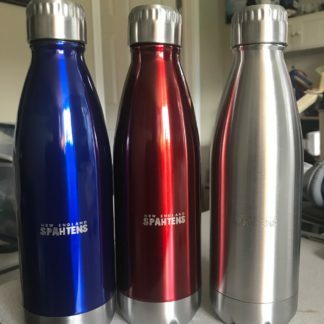 They are a huge name in New England (throw a rock, you’ll hit one), and sponsor (or are affiliated with) other major (and minor) teams across the region – some you may have heard of 🙂 The Red Sox, the Patriots and now, the Spahtens! 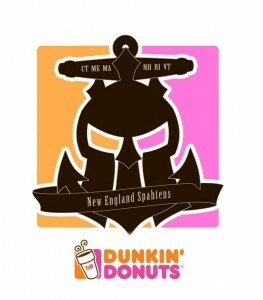 They also “own” the Dunkin Donuts Center in RI, and we’re discussing our ability to access those facilities as I type. Talk about taking Harvard stair training up a notch! This, clearly, is huge. We bring an incredibly new, incredibly fast growing sport to their stable of sporting and athletic partnerships – and like Reebok’s deal with Spartan – they get in on the ground floor. We bring one of the WORLDS largest dedicated teams, and arguably, the most organized and close nit community. And, we’re all RIGHT IN THEIR BACKYARD! We have more members, races, training days, events per season than anywhere else in the country – they want in on that. More than a week in the planning, a week spent dropping teasers, and an entire morning trying to keep a straight face. We fooled OCR magazines, race directors and many many participants in the group (including one guy who knew it was coming).